Headphones are great things. They let you listen to Lady GaGa/ Britney/ Rebbecca Black (well, somebody must..) without anyone hearing you and judging you. 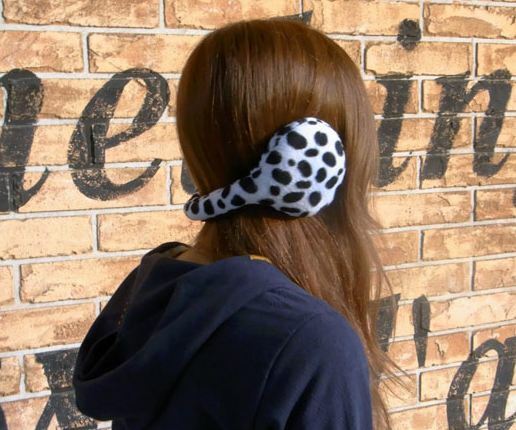 They’ve moved beyond functional items (and a great way to make lessons more interesting) to stylish high end accessories, and are available in all sorts of styles and colours. Whether you’re an audiophile looking for a great frequency range, or a 5 year old wanting sound protection there’s something for you.. and then there are the following. Here are ten weird headphones created purely for the fact that people take a step back when they see them. Know any good ones not on the list? Leave a comment below and I’ll add it in with a credit. 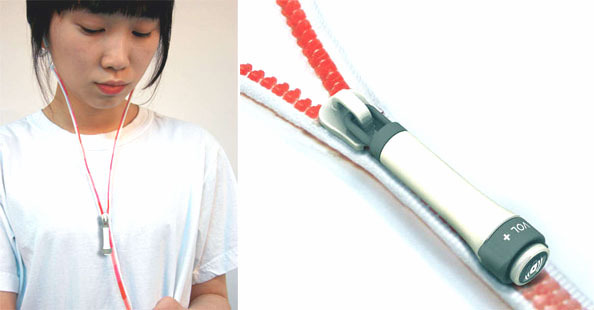 These beautiful headphones add a certain artistry to a T-shirt, being both functional and decorative simultaneously. I love the zip style collar and they come in a variety of designs, without compromising on sound quality. Can’t find them online, but they should be available here eventually. 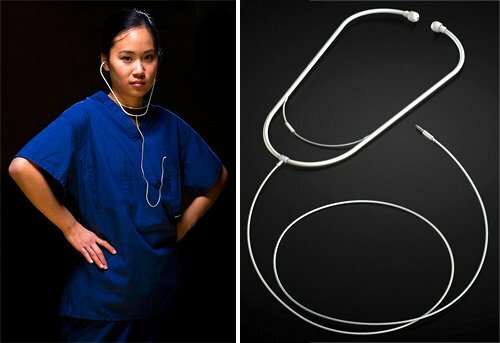 The popularity of Scrubs and ER has shown us that everyone loves a doctor (and George Clooney), so why not listen to your tunes, stethoscope style? Designed by Anterpo Design Industry, the headphones include a mic and remote and let you listen to tunes, and make and receive calls. No prescription pad included. Stay snug from the elements and listen to Disney/ Ben Folds Five on the sly. Available in multiple colours, from neutral shades to baby pink, you can get these from Strapaya World. 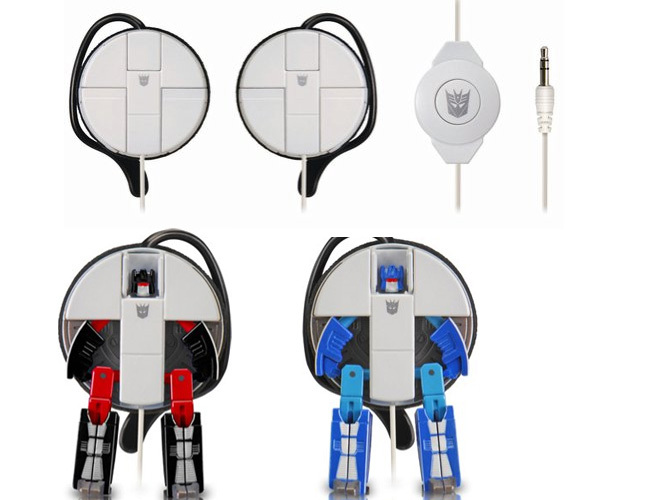 The Ultimate in fan chic, these cool looking headphones actually morph into soundbuds you can hook into your ears. You get the options of Rumble or Frenzy! Love the fact you can play with them, but sound quality is below par. Still, with these in your lugs- who cares? If you didn’t get enough of those Jersey Boys on screen you can now dress like the dude with a headphone/chinstrap emblazoned with his name on it. Hair sold separately (I think). Get them here. Make like a flower fairy and wear these rather pretty headphones. The sound quality might be so so, but you’ll look like you’ve escaped from a Disney movie. Get them here. These ‘phones may look like something you’d expect a Harajuku girl to wear, but they’re fully functional and rather cute to boot. You can get them in white or black, they fir any standard 35mm jack slot and will get you the sort of attention that can’t be quantified. 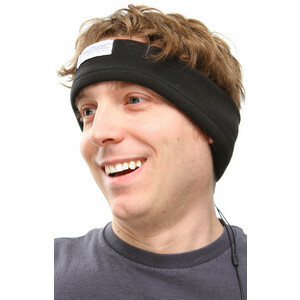 As long as your style credentials are sufficiently low that you can get away with wearing headbands, these are the ideal product for listening to your fave tunes in meetings. Also suggested as sleep aids if you share th bed with a snorer.